Why would you use blueprints? Step 1: Divisional or functional? A blueprint defines a collection of views, templates, static files and other elements that can be applied to an application. For example, let’s imagine that we have a blueprint for an admin panel. This blueprint would define the views for routes like /admin/login and /admin/dashboard. It may also include the templates and static files that will be served on those routes. We can then use this blueprint to add an admin panel to our app, be it a social network for astronauts or a CRM for rocket salesmen. The killer use-case for blueprints is to organize our application into distinct components. For a Twitter-like microblog, we might have a blueprint for the website pages, e.g. index.html and about.html. Then we could have another for the logged-in dashboard where we show all of the latest posts and yet another for our administrator’s panel. Each distinct area of the site can be separated into distinct areas of the code as well. This lets us structure our app as several smaller “apps” that each do one thing. 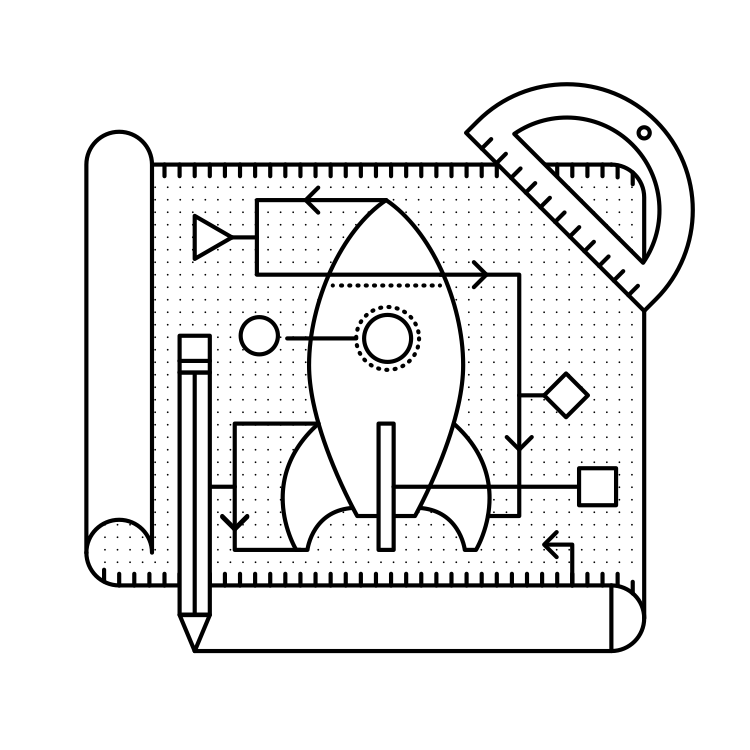 Read more about the benefits of using blueprints in “Why Blueprints” from the Flask docs. Like everything with Flask, there are many ways that we can organize our app using blueprints. With blueprints, we can think of the choice as functional versus divisional (terms I’m borrowing from the business world). With a functional structure, you organize the pieces of your app by what they do. Templates are grouped together in one directory, static files in another and views in a third. With the exception of yourapp/views/__init__.py, each of the .py files in the yourapp/views/ directory from this listing is a blueprint. In yourapp/__init__.py we would import those blueprints and register them on our Flask() object. We’ll look a little more at how this is implemented later in this chapter. At the time of writing this, the Flask website at http://flask.pocoo.org uses this structure. Take a look for yourself on GitHub. With the divisional structure, you organize the pieces of the application based on which part of the app they contribute to. All of the templates, views and static files for the admin panel go in one directory, and those for the user control panel go in another. The organizational structure you choose is largely a personal decision. The only difference is the way the hierarchy is represented – i.e. you can architect Flask apps with either methodology – so you should choose the one that makes sense to you. If your app has largely independent pieces that only share things like models and configuration, divisional might be the way to go. An example might be a SaaS app that lets user’s build websites. You could have blueprints in “divisions” for the home page, the control panel, the user’s website, and the admin panel. These components may very well have completely different static files and layouts. If you’re considering spinning off your blueprints as extensions or using them for other projects, a divisional structure will be easier to work with. On the other hand, if the components of your app flow together a little more, it might be better represented with a functional structure. An example of this would be Facebook. If Facebook used Flask, it might have blueprints for the static pages (i.e. signed-out home, register, about, etc. ), the dashboard (i.e. the news feed), profiles (/robert/about and /robert/photos), settings (/settings/security and /settings/privacy) and many more. These components all share a general layout and styles, but each has its own layout as well. The following listing shows a heavily abridged version of what Facebook might look like it if were built with Flask. The blueprints in facebook/views/ are little more than collections of views rather than wholly independent components. The same static files will be used for the views in most of the blueprints. Most of the templates will extend a master template. A functional structure is a good way to organize this project. Let’s take a look at the code for one of the blueprints from that Facebook example. To create a blueprint object, we import the Blueprint() class and initialize it with the arguments name and import_name. Usually import_name will just be __name__, which is a special Python variable containing the name of the current module. We’re using a functional structure for this Facebook example. If we were using a divisional structure, we’d want to tell Flask that the blueprint has its own template and static directories. This code block shows what that would look like. We have now defined our blueprint. It’s time to register it on our Flask app. Now the routes defined in facebook/views/profile.py (e.g. /<user_url_slug>) are registered on the application and act just as if you’d defined them with @app.route(). Continuing with the Facebook example, notice how all of the profile routes start with the <user_url_slug> portion and pass that value to the view. We want users to be able to access a profile by going to a URL like https://facebo-ok.com/john.doe. We can stop repeating ourselves by defining a dynamic prefix for all of the blueprint’s routes. Blueprints let us define both static and dynamic prefixes. We can tell Flask that all of the routes in a blueprint should be prefixed with /profile for example; that would be a static prefix. In the case of the Facebook example, the prefix is going to change based on which profile the user is viewing. Whatever text they choose is the URL slug of the profile which we should display; this is a dynamic prefix. We have a choice to make when defining our prefix. We can define the prefix in one of two places: when we instantiate the Blueprint() class or when we register it with app.register_blueprint(). While there aren’t any technical limitations to either method, it’s nice to have the prefixes available in the same file as the registrations. This makes it easier to move things around from the top-level. For this reason, I recommend setting url_prefix on registration. We can use converters to make the prefix dynamic, just like in route() calls. This includes any custom converters that we’ve defined. When using converters, we can pre-process the value given before handing it off to the view. In this case we’ll want to grab the user object based on the URL slug passed into our profile blueprint. We’ll do that by decorating a function with url_value_preprocessor(). # The prefix is defined on registration in facebook/__init__.py. We’re using the g object to store the profile owner and g is available in the Jinja2 template context. This means that for a barebones case all we have to do in the view is render the template. The information we need will be available in the template. The Flask documentation has a great tutorial on using prefixes for internationalizing your URLs. Many SaaS (Software as a Service) applications these days provide users with a subdomain from which to access their software. Harvest, for example, is a time tracking application for consultants that gives you access to your dashboard from yourname.harvestapp.com. Here I’ll show you how to get Flask to work with automatically generated subdomains like this. For this section I’m going to use the example of an application that lets users create their own websites. Imagine that our app has three blueprints for distinct sections: the home page where users sign-up, the user administration panel where the user builds their website and the user’s website. Since these three parts are relatively unconnected, we’ll organize them in a divisional structure. This table explains the different blueprints in this app. sitemaker.com sitemaker/home Just a vanilla blueprint. Views, templates and static files for index.html, about.html and pricing.html. bigdaddy.sitemaker.com sitemaker/site This blueprint uses a dynamic subdomain and includes the elements of the user’s website. We’ll go over some of the code used to implement this blueprint below. bigdaddy.sitemaker.com/admin sitemaker/dash This blueprint could use both a dynamic subdomain and a URL prefix by combining the techniques in this section with those from the previous section. We can define our dynamic subdomain the same way we defined our URL prefix. Both options (in the blueprint directory or in the top-level __init__.py) are available, but once again we’ll keep the definitions in sitemaker/__init.py__. Since we’re using a divisional structure, we’ll define the blueprint in sitemaker/site/__init__.py. # and site is a blueprint. # sure that we import views after site has been defined. Now we have the site information from the database that we’ll use to display the user’s site to the visitor who requests their subdomain. To get Flask to work with subdomains, we’ll need to specify the SERVER_NAME configuration variable. A few minutes ago, as I was drafting this section, somebody in IRC said that their subdomains were working fine in development, but not in production. I asked if they had the SERVER_NAME configured, and it turned out that they had it in development but not production. Setting it in production solved their problem. It was enough of a coincidence that I felt it warranted inclusion in the section. You can set both a subdomain and url_prefix. Think about how we would configure the blueprint in sitemaker/dash with the URL structure from the table above. I’d like to go over a brief example of the steps we can take to convert an app to use blueprints. We’ll start off with a typical Flask app and restructure it. The views.py file has grown to 10,000 lines of code! We’ve been putting off refactoring it, but it’s finally time. The file contains the views for every section of our site. The sections are the home page, the user dashboard, the admin dashboard, the API and the company blog. This application is made up of very distinct sections. Templates and static files probably aren’t going to be shared between the user dashboard and the company blog, for example. We’ll go with a divisional structure. Before you make any changes to your app, commit everything to version control. You don’t want to accidentally delete something for good. Next we’ll go ahead and create the directory tree for our new app. We can start by creating a folder for each blueprint within the package directory. Then we’ll copy views.py, static/ and templates/ in their entirety to each blueprint directory. We can then remove them from the top-level package directory. Now we can go into each blueprint and remove the views, static files and templates that don’t apply to that blueprint. How you go about this step largely depends on how your app was organized to begin with. The end result should be that each blueprint has a views.py file with all of the views for that blueprint. No two blueprints should define a view for the same route. Each templates/ directory should only include the templates for the views in that blueprint. Each static/ directory should only include the static files that should be exposed by that blueprint. Make it a point to eliminate all unnecessary imports. It’s easy to forget about them, but at best they clutter your code and at worst they slow down your application. This is the part where we turn our directories into blueprints. The key is in the __init__.py files. For starters, let’s take a look at the definition of the API blueprint. Next we can register this blueprint in the U2FtIEJsYWNr package’s top-level __init__.py file. # Puts the API blueprint on api.U2FtIEJsYWNr.com. Make sure that the routes are registered on the blueprint now rather than the app object. Now our application is far more modular than it was with one massive views.py file. The route definitions are simpler because we can group them together into blueprints and configure things like subdomains and URL prefixes once for each blueprint. A blueprint is a collection of views, templates, static files and other extensions that can be applied to an application. Blueprints are a great way to organize your application. In a divisional structure, each blueprint is a collection of views, templates and static files which constitute a particular section of your application. In a functional structure, each blueprint is just a collection of views. The templates are all kept together, as are the static files. To use a blueprint, you define it then register it on the application by calling Flask.register_blueprint()..
You can define a dynamic URL prefix that will be applied to all routes in a blueprint. You can also define a dynamic subdomain for all routes in a blueprint. Refactoring a growing application to use blueprints can be done in five relatively small steps.